Summer is almost over and it is time to start getting ready for the new school year. Be sure to attend your child's school orientation. Okaloosa County teachers start back today, and with one week left of Summer vacation for students, it’s time to prepare for the upcoming school year. 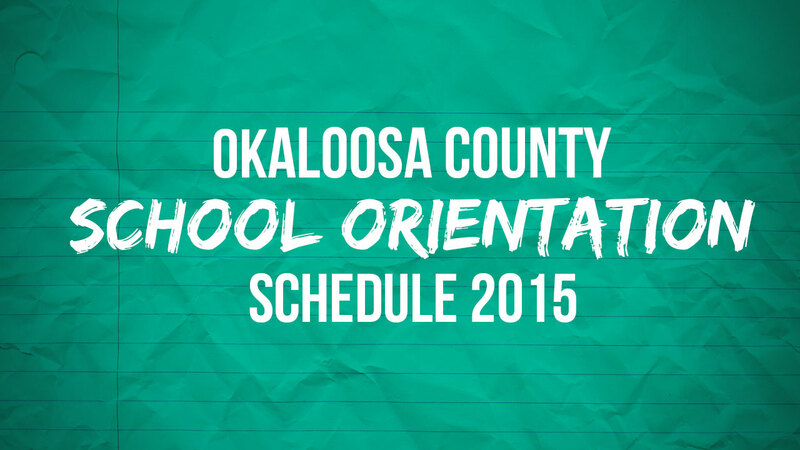 Most of the schools seem to have their orientation days on either August 13th or the 14th, but check the PDF link for your school’s date and time. School orientations were always exciting, yet totally depressing . It means the end of Summer is actually happening and there’s nothing any of us can do about it. So go meet your teachers, get your schedule and find your locker…oh, and enjoy the last week of Summer! UPDATE: Kenwood Elementary is not on the PDF provided by the school district. It will be held on August 14, 2015. Click here for more details.